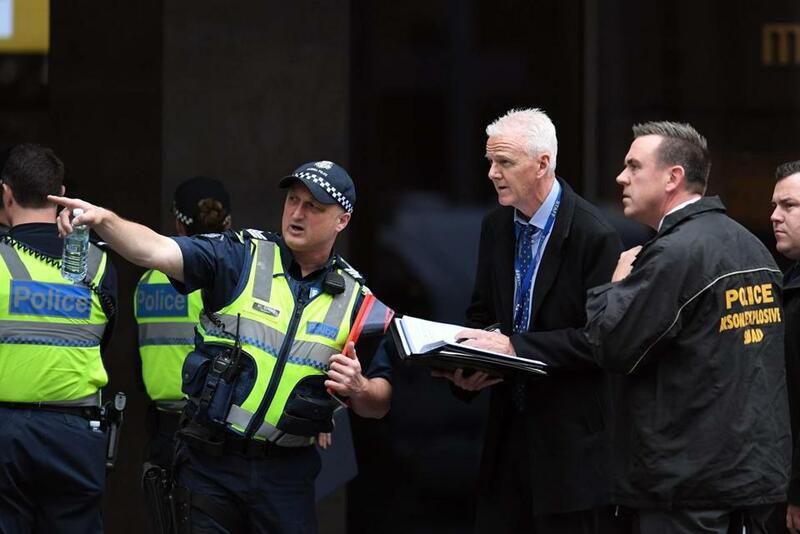 SYDNEY — Police shot and killed a knife-wielding man Friday after he fatally stabbed one person and injured two others in the center of Australia’s second-largest city, police said. Victoria state police Commissioner Graham Ashton says the suspect, who was originally from Somalia, was known to police, mostly because of family members who were “persons of interest” to police. The incident is being treated as terrorism, police said. The Islamic State group has claimed responsibility for the attack. The militant group said in a statement released through its Aamaq media arm that the man was ‘‘one of Islamic State fighters’’ and carried out the attack in response to IS calls for attacks in countries that are part of the international coalition fighting the militants in Syria and Iraq. IS, which has suffered heavy battlefield setbacks in Syria and Iraq in the past year, often claims attacks in an opportunistic vein. Australian police say the pickup truck contained several barbeque gas cylinders. Officers were confronted near the burning car by a man ‘‘brandishing a knife and threatening them’’ while passers-by called out that people had been stabbed, Victoria state police Superintendent David Clayton said.